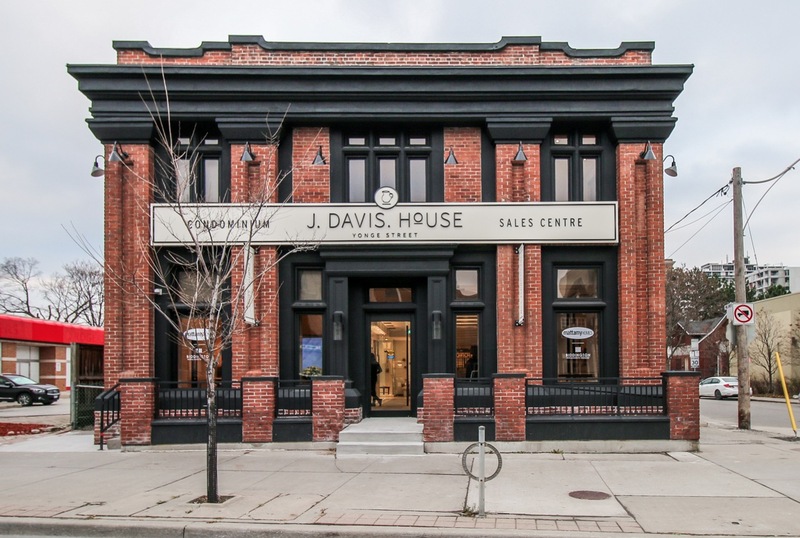 Located at 1955 Yonge Street, just south of the soaring skyscrapers and the hustle and bustle of Yonge Street and Eglinton Avenue, J. Davis House will offer a village-like atmosphere combined with the convenience of urban amenities. The boutique residence marks Mattamy Homes’ first condominium project in the GTA after acquiring Monarch Corporation in 2015, and is being developed in partnership with Toronto-based Biddington Homes. 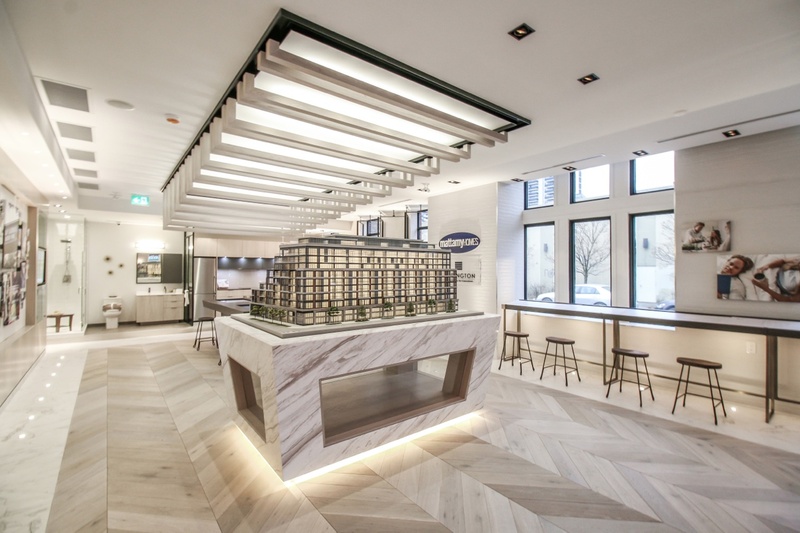 Although the grand opening is scheduled in January, BuzzBuzzHome News recently got a sneak peak of the beautiful new sales centre to learn more about the project. 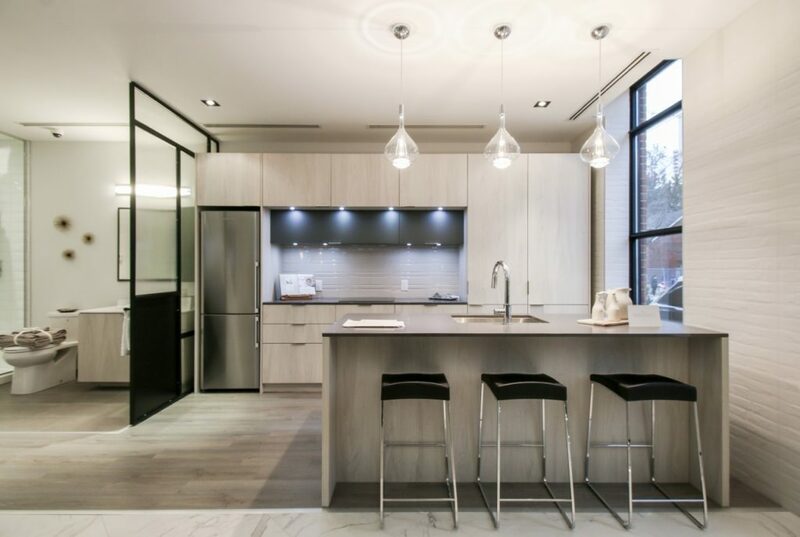 Named after one of Davisville’s prominent founding families, J. Davis House pays homage to the neighbourhood’s historical fabric through its exterior architecture by Graziani + Corazza Architects Inc. The façade is clad in classic brick, precast and limestone. A landscaped courtyard provides a grand entrance which leads into the sleek and stylish lobby. 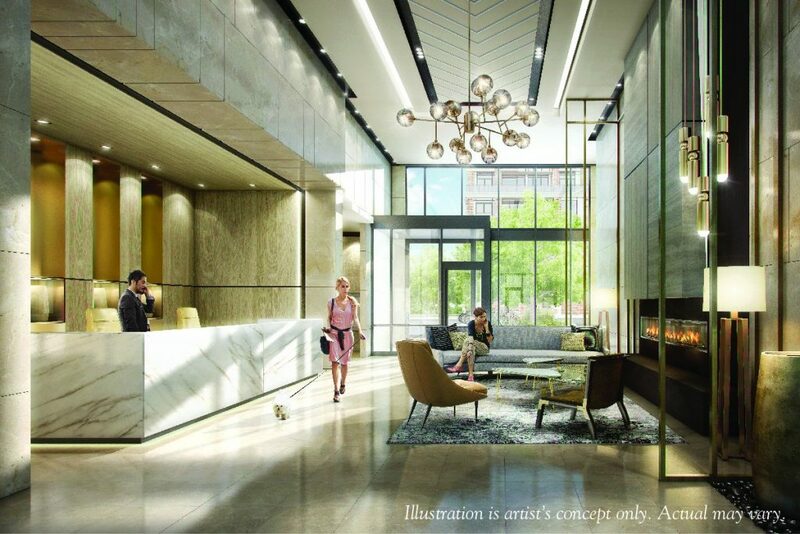 With its soaring ceilings, fireplace and 24 hour concierge, combined with marble, bronze and rich wood textures, the Graziani + Corazza + Biase-designed lobby offers an elegant yet warm welcome to residents and visitors alike. 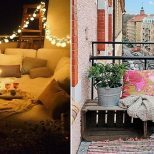 Other amenities include a fifth floor terrace and barbecue area, party room and billiards room, as well as a gym, sauna and change room on the main level. 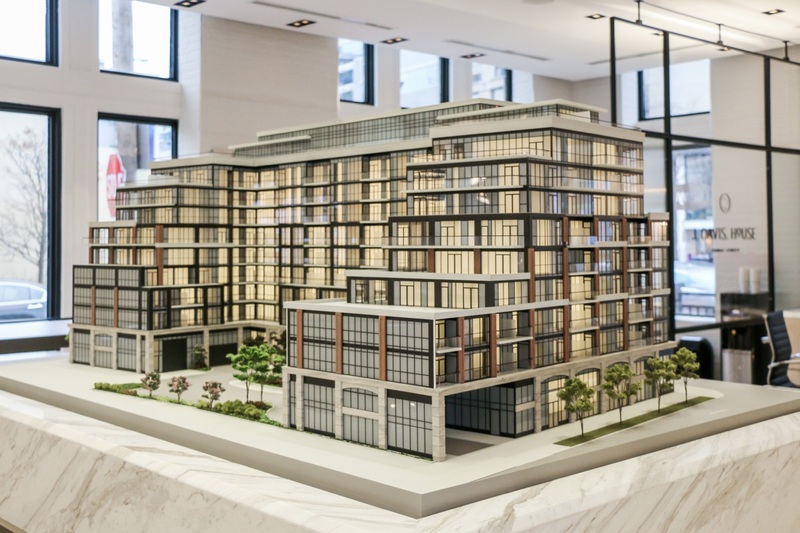 A stretch of retail space is also available on the ground floor, fronting Yonge Street. 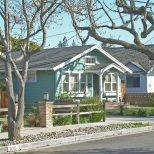 With a Walk Score of 96 out of 100, residents at J. Davis House will have easy access to a wealth of local amenities and attractions. From charming shops and restaurants to cozy cafes, parks and greenspaces, there’s no shortage of things to do or see in Davisville Village. Plus, with the Davisville subway station just a three minute walk away, commuting downtown couldn’t be easier. Suites at J. Davis House start from the low $200,000s and feature nine foot ceilings, wide plank laminate floors and plenty of outdoor space with private balconies and large terraces. Gourmet kitchens come complete with quartz countertops, ceramic tile backsplashes and a stainless steel, semi-integrated appliance package with a counter depth fridge, cooktop, wall oven, panel ready dishwasher, in-cabinet microwave and a stainless steel wine fridge, as per plan. Make sure to register online for the latest updates or visit 1955 Yonge Street. For more information, call 647 343 3270 or visit jdavishouse.com.